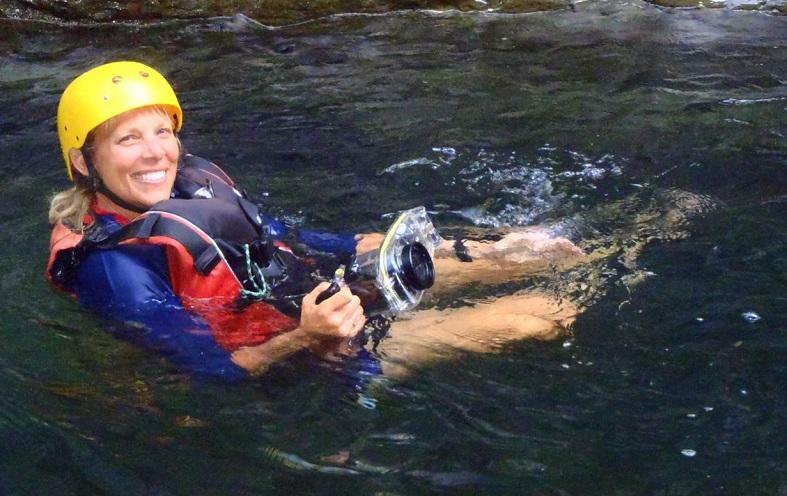 In this interview with Kelly Bricker, we learn about ecotourism and sustainable tourism. As Vice-Chair of the Global Sustainable Tourism Council (GSTC), Professor and Department Chair at the University of Utah, and President of the International Ecotourism Society (TIES), Kelly has gained – and shares with us – invaluable insights into the promising yet challenging world of tourism sustainability. Her most memorable moments as President of TIES, and the day-to-day challenges of leading a non-profit organization. Kelly, do you remember the first time you heard about ecotourism? What got you interested in tourism and sustainability? While I had been involved in nature-based tourism through marine programs in the British Virgin Islands and Florida Keys, I really first learned of ecotourism through TIES, back when TIES was The Ecotourism Society (TES). My husband and I were working for Sobek Expeditions (now Mtn Travel Sobek) overseas and one of the employees for Sobek at the time was involved in TES as an Advisory Board Member, her name was Leslie Jarvie. Leslie unfortunately passed at a very young age, but certainly was a dedicated advocate and my link to TES, and invited me to a board meeting in Washington DC during the very early days. After attending the meeting, I joined and started to receive the then, paper newsletter. As we had traveled over the years for Sobek and then Sobek Travel Group, then World Heritage, we began to see patterns in the places we visited. In some places, tourism appeared to help a destination, the environment and local communities. In other places, tourism did the exact opposite—areas where you saw tourism degrade and devastate areas and destinations. Ecotourism, based on what I was learning from TIES, was a strategy and tool for conservation and improving the quality of life for local people. After working in the adventure travel realm for nearly 10 years, I headed back to school to study what sustainable tourism and ecotourism were all about, and to apply the first-hand experiences we had in the field. So in 1994 I went back for a PhD and began my academic journey in unpacking these concepts and observations. The academic side provided opportunities to learn about how to study these impacts, and how to objectively evaluate. My minor in geography also introduced me to how other disciplines viewed tourism—not always so positively. This fuelled my interest in finding ways to utilize the economic power of tourism to effect positive change. Now in 2017, how has your view changed regarding ecotourism? I think my understanding of what makes ecotourism work has broadened and is constantly evolving. There are so many intricacies, complexities, and contexts that one size does not fit all. Many things have to align to make it all work. However, my view of ecotourism as a tool for conservation and associated community benefits is perhaps stronger than in earlier days. With all that is happening with the world today, our disconnect from nature, our abuse of the planet, and all the associated challenges with climate change, poverty, and health issues, I believe ecotourism continues to have enormous potential to influence the world in a positive way. It is a mechanism for health and well-being, from the individual to a global level. We know nature is good for humans, however humans must also be respectful of the very nature in which they are a part, for this complex exchange to work. As a professional dedicated to tourism sustainability for many years, which have been your main insights? There is still a lot of work yet to do! I am deeply encouraged by recent efforts to bring practical application of sustainability and ecotourism concepts and principles to the industry. I support initiatives by the Global Sustainable Tourism Council, TIES Conferences and workshops, and applaud the work of so many dedicated organizations and individuals. As colleagues and I have suggested in a recent book, it is critical that we tie the work we all do to the societal and environmental challenges we face. For example, we now have plenty of evidence that demonstrates the importance of biodiversity conservation as the cornerstone to human health and well-being. This becomes an essential foundational aspect of all tourism development and subsequent management programs and projects. Biodiversity is critical to economic, social, and cultural sustainability, and ultimately quality of life and well-being. I am encouraged by the recognition of the important links between healthy ecosystems and healthy people. This assists us all in the call for attention to sustainability concepts and the way in which to initiate and manage tourism. I have also come to realize that ecotourism cannot operate in isolation of other types of tourism and other industries. What happens ‘next door’ to ecotourism has huge implications for the success of ecotourism. Ecotourism must work with its tourism ‘neighbours’ and other stakeholders to achieve sustainability at a destination level. TIES has worked on this idea a bit with the expansion of the conference to the Ecotourism and Sustainable Tourism Conference idea. 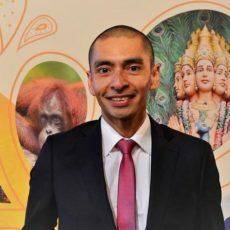 Instead of narrowing my focus, I seem to be seeing even more connections and how sustainable tourism can influence society. This is at times overwhelming, yet useful. For example, a colleague and I have recently written* about industrial farming in the USA, and the connections to sustainability. This is an area largely ignored by our society, even though the impacts are severe. This has really driven home the need to spend more time on how we are sourcing all products within the tourism industry, if we are to be truly sustainable. I am intrigued by new concepts being brought to light, such as the idea of planetary boundaries and the idea of resiliency in society and ecosystems. All have applicability to how we manage tourism sustainably, for the sake of the planet and all that inhabit it. *Bricker, K. & Joyner, L. (2017). Unsustainable Food Production: Implications for Sustainable Tourism. In D. Fennell, Ethics in Tourism Series, C. Kline (ed. ), [easyazon_link identifier=”1138291617″ locale=”US” tag=”slpus-20″]Tourism Experiences & Animal Consumption: Contested Values, Morality, & Ethics[/easyazon_link]. NY, New York: Routledge Publishing. 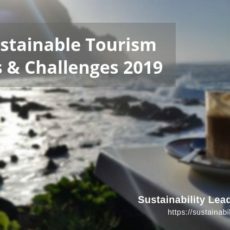 Where do you see the main challenges at the moment in terms of tourism sustainability, and destinations specifically? The primary challenges have to do with reducing extreme poverty, sustainable consumption and production patterns, climate issues, and resource depletion. As mentioned above, sustainable farming and food production have so many implications for sustainable tourism. It is obvious that we need a healthy ecosystem for ecotourism to occur, but in reality, we need that for everything—we need it to survive. So these challenges apply across the board. I think the sustainable development goals summarize challenges across the board and what we need to do to improve the environment and society as a whole. Tourism is inextricably linked to all aspects of society, therefore connected to these goals as well. How do we construct and develop society to address increased populations and diminished resources? How can tourism assist in alleviating extreme poverty? These and many more questions apply significantly to the travel industry and the enormous power it has to make a positive difference. Your key research insights as academic investigating tourism sustainability? Sustainable tourism, especially ecotourism, serves as a tool for conservation and sustainable community development – with several caveats. Despite the attention given to sustainable tourism development, it has proven difficult to define and operationalize. However, progress is being made through the efforts of the GSTC, and many others. Critical decisions about tourism development and management are made at local, national, regional, and international levels. Unfortunately, despite the apparent vertical integration of each level, decision-making is not always made in and amongst these levels. There are competing interests, contradictory developments, and climatic issues which all influence strategies at each level. From the public to private, to voluntary sectors, and tourists, there is need for increased collaboration and partnerships. Sustainable tourism, of course inclusive of ecotourism and many other types of tourism, is about sustaining both the industry as a whole, and the attributes associated with various products (social, cultural, and environmental), on which it is all based. 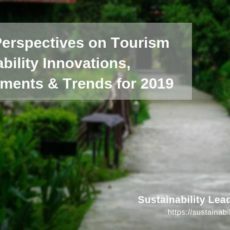 Regardless of the difficulties in operationalizing various forms of sustainable tourism, I am of the belief (and have written with colleagues about this) that sustainable tourism encourages long-term perspectives, fosters notions of equity, promotes inter-sectoral linkages, conservation of natural and cultural resources, and cooperation amongst many stakeholders. There is enormous continued potential in sustainable tourism to effect positive outcomes for society and the environments. We need to support appreciation for nature, ecosystems, cultural resources early in a person’s development. Youth are our future, and we need to invest in them and their knowledge today. My parents invested in my understanding of the natural world through camping trips, animal husbandry, and exposure to diverse communities. This exposure as a young person had a lasting impression, as I am certain it has for many of the tourism professionals interviewed by the Sustainability Leaders Project. Your most memorable moment during your time as President of the Intl. Ecotourism Society (TIES)? There are many, and these come to mind in themes. ESTC Conferences: the ESTC conferences are amazing. The people who attend, the keynotes, and learning about efforts on the ground leave one with feelings of hope and promise for a sustainable future. Ecotourism Professionals: many people have made enormous contributions to principles of ecotourism around the world. Board members, past and present, dedicated tourism operators, and destination management visionaries have created significant memories in my life. Which aspect of leading an international organisation like TIES do you personally find the most challenging? Leading an international non-profit is achieved through the cooperation of many dedicated folks. TIES is expected to be many things to many people, and finding ways to support expectations, the full mission of TIES and at the same time do it with primarily volunteers, is challenging. After every conference, I do see the relevance of this organization, yet finding sustainable ways to support the organization economically with the number of staff it would ideally need, challenges the organization every day. There are so many things we would like to do, yet everything has a cost and finding the balance between what can be done with our resources and what should be done is always a challenge as well. TIES is currently focused on building networks and advocates for ecotourism and providing resources to support education and training, through our online education programs, conferences, research and workshops. In a world where our connection to nature is more critical now than ever before, ecotourism can be the connection and impetus for conserving nature. It can help getting people outdoors, and benefit communities for increased quality of life and well-being. There is no doubt that the organization will continue to promote ecotourism as a tool for conservation and a mechanism to effect positive change. I do think the ways in which people will learn and utilize the resources offered by TIES will change. Partnerships for ecotourism will become even more critical, and it is our hope that the organization and global network of TIES can help lift ecotourism to even more prominence and importance in the future. I think the organization needs to build its constituency with scientists, practitioners, conservationists, and a wider sustainable tourism industry, and feel this has started. TIES has experienced many changes over the years, from Executive Directors to Board Members and Advisory Board Members. I have most likely been at the helm way too long and this will need to change. TIES must rebuild its leadership in a way that reflects the reality of non-profits today. This process began by creating a virtual office, reducing the costs associated with maintaining a location; continue to build resources and information that assists all aspects of ecotourism; and rebuild the board and structure of administration of TIES. Some time ago, TIES Advisory Board members announced their departure. This event caused people to question TIES and its administration on many levels. This of course is not how you want things to go, and was very difficult for me personally, as well as many others. While it would have been perhaps time to quit with the departure of the Advisory and many other challenges, I chose to stay and try to reset the organization. This is happening, yet there are many, many, years of challenges to overcome. This is not easy and will take time, yet TIES is slowly making headway. I believe in what TIES stands for and like many organizations, believe these struggles are a part of life. There is so much work to do and I believe with new energy and creative dedication, the organization will find the best way to be relevant. 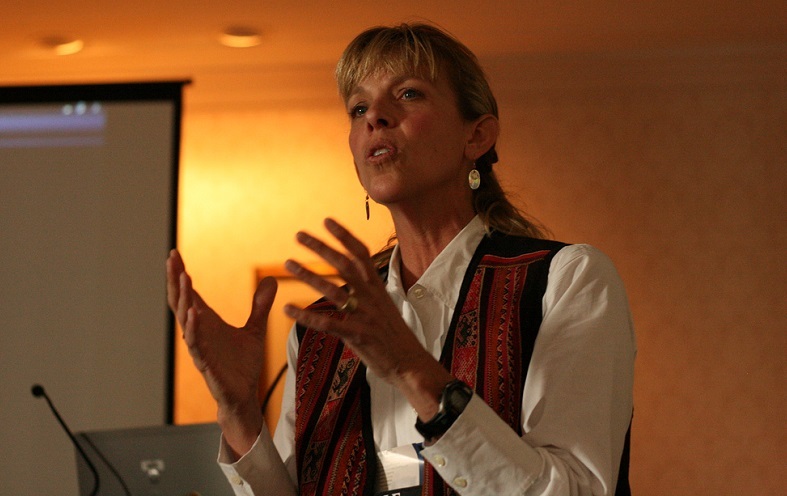 Connect with Kelly Bricker on LinkedIn, visit her academic profile at University of Utah, or learn more about The International Ecotourism Society here. Enjoyed our interview with Kelly Bricker on tourism, sustainability and her work with the Global Sustainable Tourism Council and TIES? Spread the word!